Ekiti Pensioners decry non-payment of entitlements – Royal Times of Nigeria. Pensioners in Ekiti State have slammed Governor Ayodele Fayose for alleged neglect which has allegedly triggered daily deaths among them. Acting under the aegis of Concerned Local Government Pensioners Association of Nigeria (CLGPAN), they regretted that unpaid arrears of pension have caused them untold hardship. They said Fayose’s alleged neglect had impoverished their members and made them vulnerable to all forms of diseases. The pensioners made the appeal on Wednesday after a prayer session organized to seek the face of God against high incidences of deaths among members. A communiqué issued at the end of the session and signed by CLGPAN’s Coordinator/Chairman, Alhaji QuadriOguntuase and Secretary, Mr. Abiodun Agboola, regretted that none of its member has received its monthly pension since January, 2018. 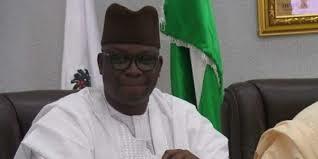 The communique said it sounded so pathetic that while Nigerians were celebrating Independence Day on October 1, that pensioner in Ekiti were burying their members and crying over avoidable issues. The embattled retirees said they are tired of “one day, one death among them” calling on the governor-elect Dr. Kayode Fayemi to make their welfare a priority during his administration.